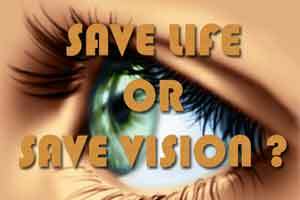 To save the life of patient was more important, rather than the improvement of vision of the patient – observed the National Commission and relieved Doctors from charges of Medical Negligence. The National Commission relied on above observations of Hon. Supreme court in its celebrated case of Jacob Mathew V/s. State of Punjab (2005) 6 SCC 1 and allowed the appeal filed by SREE CHITHIRA THIRUNAL INSTITUTE OF MEDICAL SCIENCES (SCTIMS) THIRUVANANTHAPURAM V/s. R. VIPINA CHANDRAN & 2 ORS, by its judgment dated 21/08/2015 . The Complainant – a driver by profession, working in Saudi, had a problem of diminution of vision. After various tests, he was advised by doctors at SCTIMS for urgent surgery (at cost of Rs.2, 50,000/-) on the promise that he would regain 80% of lost eye sight. The Complainant after selling his dwelling house and after getting some amount from PM and CM Relief funds also he could not pay the charges. Unfortunately the operation could not restore his vision. 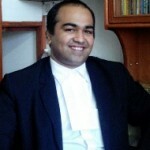 The Complainant alleged that as optic nerve got atrophied, placing of coil inside the head of the complainant was wholly unwarranted because of which he lost whatever minute vision he had and therefore he filed the complaint for damages of Rs.25 lakhs, but it was allowed to the extent of Rs.10 lakhs and hence the SCTIMS preferred the appeal. It was proved by medical records that the patient was not treated for the defective vision, but the patient was treated for Arterio Venous Malformation (AV Malformation). The patient was also having Papilloedema both sides and pale disc. The Neuro Radiology department performed angiogram and found to have Dural Arterio Venous Fistula. Hence, he was operated for coiling after proper “informed consent”. Again proper consent saved Doctors!! The Commission after perusing the Consent observed that the Consent gave every detail about the procedure, possible complications, risk etc. and it was signed by the complainant. The Commission also relied on the evidence of Expert Doctors which opined that for AV malformation, coiling is an accepted procedure for treatment. Coiling procedure is not to improve patient’s vision, but it is for closure of the abnormal vascular malformation. The experts also opined that the coiling procedure was not harmful, but even if coiling is done properly, vision can deteriorate in certain cases, on account of chronic intracranial pressure (ICT), leading to optic nerves atrophy. It depends upon the duration of the illness, prior to commencement of treatment. If the coiling is not done in such a case, patient will not only lose vision, but brain complications may also result. It can result in rupture of blood vessels or blockage of blood circulation in the brain. The Commission therefore rejecting the charges of negligence on Doctors observed that the doctors performed the operation for AVM by coiling method which was a correct line of treatment. And even otherwise, there was very bleak chance of improvement of patient’s vision, because of optic atrophy. It also relied on the famous Bolam’s Test, (1957) 1 WLR 582,586, which has laid down that simply because a patient has not favorably responded to treatment given by a doctor or a surgery has failed, the doctor cannot be held straightway liable for medical negligence by applying the doctrine of ‘res ipsa loquitur’. The patient should be well informed and make things clear in”black and white”.This should be clearly represented to the judiciary who will definitely understand the depth of the problem. This will definitely put an end to the unnecessary harassment on doctors. The law should have provision for claiming compensation for lodging frivulous complaints.